From among the very poor, BELIEVE is developing leaders for the next generation. Note: BELIEVE International is a non-profit 501(c)(3) tax-exempt organization. Your contribution is tax deductible to the extent allowed by law. Have you ever wondered: "Why is there poverty? And how can there be such misery and insecurity in a world full of abundance?" Carvel Whiting, the President of BELIEVE International, recently wrote a paper that takes a look at poverty from a global perspective, explains why it has yet to be solved, and presents BELIEVE's two-pronged approach to breaking the cycle of corruption and poverty. Providing an education for your own children can be difficult. But imagine being forced to choose between buying food and educating your children. 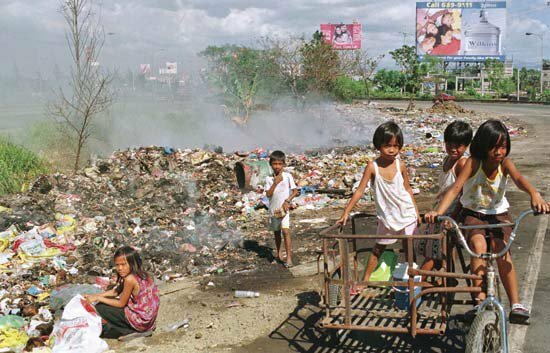 Education, for large numbers of children in the Philippines, is simply beyond reach. Our organization is staffed entirely by unpaid volunteers. This allows us to direct an average of 98% of your donations to the educational needs of Filipino children.